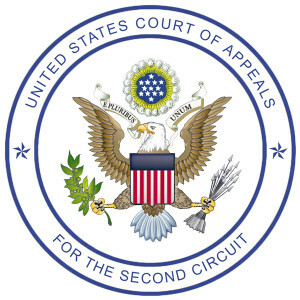 Second Circuit Rules Against Plaintiffs | Stop the NDAA! ← US Supreme Court DENIES application to vacate stay in StopNDAA lawsuit. Incredibly, despite the recent NSA revelations showing that the United States government lied in court in the Clapper v. Amnesty International USA ruling, the second circuit referred to that ruling and decided that our US plaintiffs lack standing and our non-US plaintiffs cannot prove harm. In Clapper, the plaintiffs lost in part because it was pure “speculation” that their communications were being surveilled. Now we know that it is not speculation at all: the United States Government is engaged in dragnet surveillance of its own citizens, while it retains the power to indefinitely detain any non-US citizen anywhere – based on secret evidence and suspicion alone. This culture of failed checks and balances and zero accountability under the war on terror must end. Good people have come forward on behalf of people everywhere to challenge the madness of the US Government in the wake of 9/11 – people who have every reason to fear the NDAA and this atrocious panoply of laws and policies that are fundamentally eroding guaranteed liberties and basic human rights. The United States Government itself is behaving as a terror. Through indefinite detention of innocent civilians at Guantanamo, secret rendition, torture, murder of hundreds of thousands of innocent civilians in Iraq and illegal drone bombings – it is fundamentally eroding and perverting the rule of law while weakening our national security. Courts are contradicting themselves on whether the government has the right to indefinitely detain even its own citizens, Congress has supported dragnet surveillance and other assaults on everything we were founded on, and yet somehow, our fears are only “speculation”. Losing one battle is not losing the war. This war is an assault on truth itself. It flaunts reason, sanity and basic decency. We will not stand down in the face of these egregious assaults on our rights and liberties.